Teachers are such an important part of your child’s growth each year. Why not shower them with gifts as a thank you for all they do to help your child learn and grow. 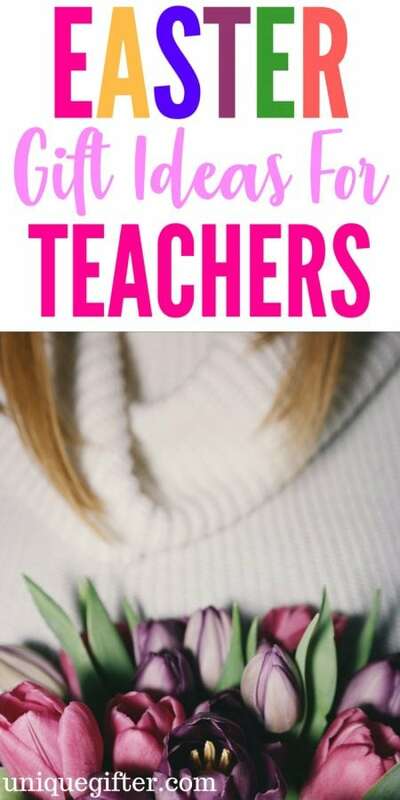 I have gathered 20 awesome Eater gift ideas for teachers that will let them know that you appreciate all the time and effort they give to your child! From fun to sentimental gifts, you will find a variety below. 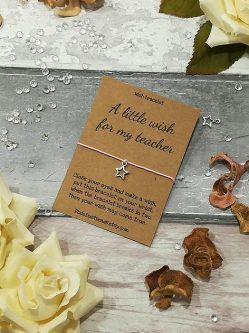 Your teacher is supposed to make a wish and then wear the bracelet. It will begin to wear and eventually break. When it breaks it means her wish will come true. It is really a creative and special gift to give. 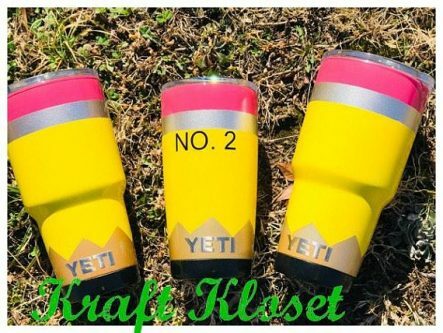 This Yeti is custom made with your teacher’s name on it, to make it a very kind and special gift. I love the look of the pencil, it is really fun and I am sure any teacher would enjoy sipping out of it. This shirt is sure to put a smile on her face when she reads it. I love how quirky and silly it is. This bag is perfect for your teacher to stuff in all the work she needs to grade, workbooks, lessons, etc inside. I love the peeps theme to it, very Easter themed. Who doesn’t love a warm and cozy pair of socks? 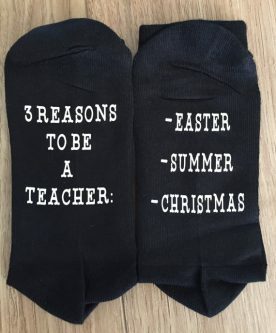 Here is a fun pair any teacher would love to wear, I mean these socks aren’t wrong! If your teacher teaches in high school, she might like this hanging with my peeps shirt. I bet she will wear it on a casual day to school. Great for a chemistry teacher, this is a fun scarf that is made for anyone who loves chemistry. I love the fun colors, plus she could wear it all year round if she wanted. This is a really great gift, a journal or planner whichever they decide they want to use it for. I love the saying on the front, it lets them know they are truly appreciated. 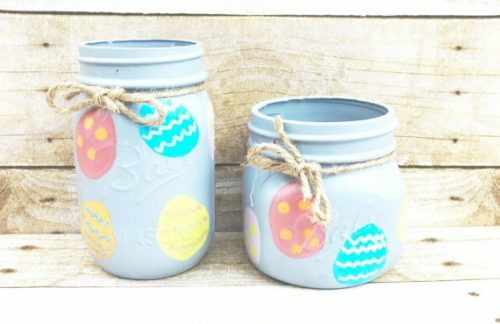 Fill these jars with candy, fresh flowers or give them alone, for a perfect Easter gift. I love how pretty they are, and would be perfect to help decorate her class, or she can take them home. Here is a gift if your teacher has a sense of humor. It is a calendar full of teacher quotes and jokes to keep them laughing for the whole year. This is a really fun cup, I love the metallic lettering, it is very chic. If you have a girly teacher, she might really love this as a gift. Stuff in a coffee shop gift card and you have a complete gift ready to go. This keychain is a way that your teacher can be reminded of the lives they touch each day. Also, a reminder that you really cared for them as a teacher, and respect all that they give to the students that pass through. This book is filled with all the wonderful things a teacher wants to hear. Why they are special, that they are appreciated, and more. A great book that would make a spectacular gift. Here is a really nice rope bracelet with the words teacher inside of it. This is a gift that your teacher might enjoy wearing on occasion to school. This figuring symbolizes a teacher and all that they give to all the students they help teach over the years. I love these as gifts, they are a quality gift to give. This is a great gift because they can have it in their room to decorate, I love the black and white. Very classic and would look good in any room. Add your teacher’s first or last initial on this market mini tote, for a gift for Easter. 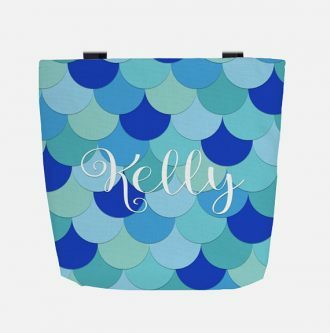 I love the bold colors, and this would be fun for her to fill with things for her classroom or take home and use when she isn’t working. 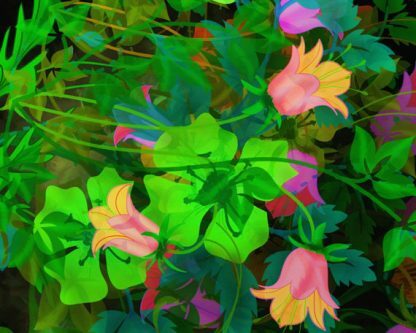 This mousepad just screams spring and Easter to me. 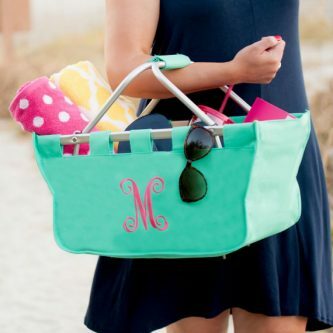 The bold colors and the stunning monogrammed letters. 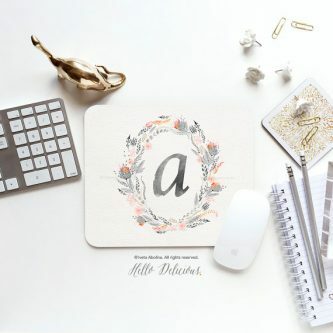 Every teacher has a computer so let her dress it up with a stylish mousepad. This bunny is absolutely darling. Your teacher can store items like tacs, pins, or even candy. 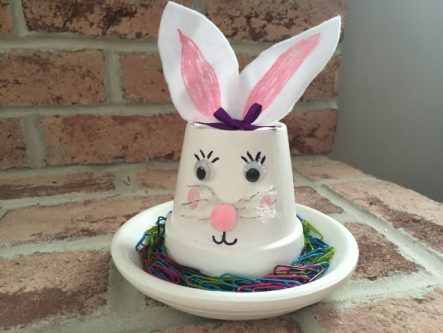 It is a cute idea that would be fun for any teacher to have to decorate their room for Easter. This is a gift that can last a lifetime. It is a stain-glassed wildflower. The detail on this flower is just amazing, and I think it would make a beautiful gift.